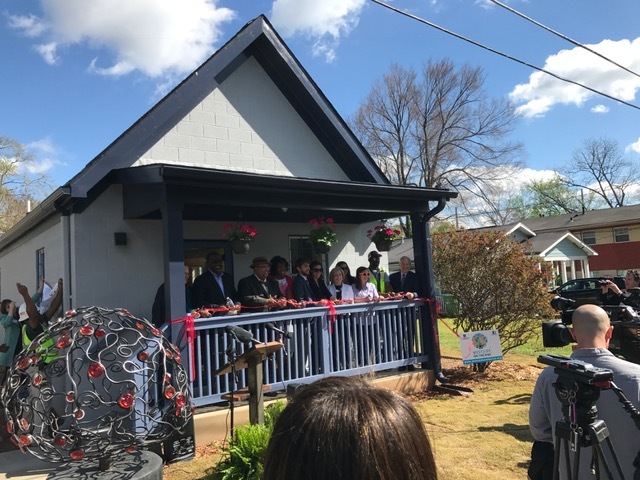 ATLANTA, GA (April 18, 2017) – After more than two years of working to purchase and rebuild the home of the neighborhood matriarch, residents of English Avenue neighborhood dedicated the Mattie Freeland Community House. Organizers said the house will provide a safe gathering spot, student and adult educational assistance, and a place to host community meetings. Freeland died in 2008, but her life of kindness and determination to stay in the neighborhood even as it declined inspired residents and her former congregation, New Life Covenant Church, which led the rehabilitation effort. 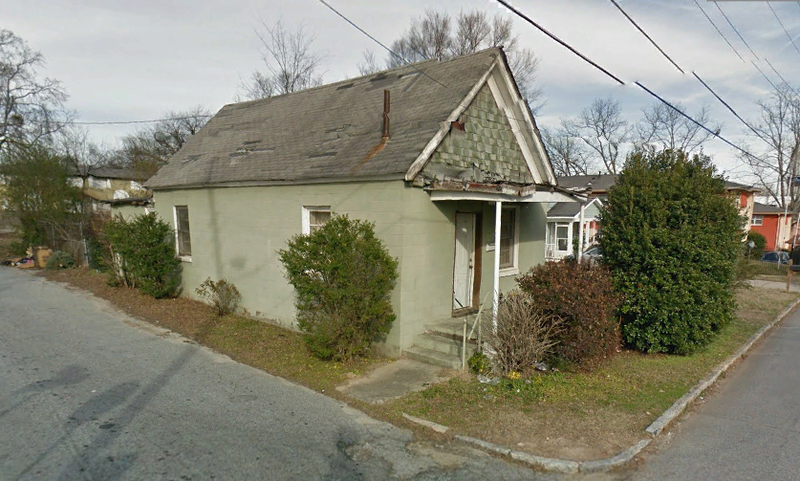 The church already had transformed a piece of land it owned across from “Miss Mattie’s” house into a community garden shortly after she died. Contractors and construction laborers working on the nearby Mercedes-Benz stadium, the new home of the Atlanta Falcons, did the majority of the construction work – after putting in full days of building the stadium. They volunteered all their time and donated supplies. “They each volunteered because they wanted to give back to this community,” Gilliard said. They also helped teach construction skills to interested volunteers from the community who helped on the project. The celebration was held April 1. For a previous story, see Matriarch. What a marvelous story and way to remember someone committed to the ministry of presence and place.